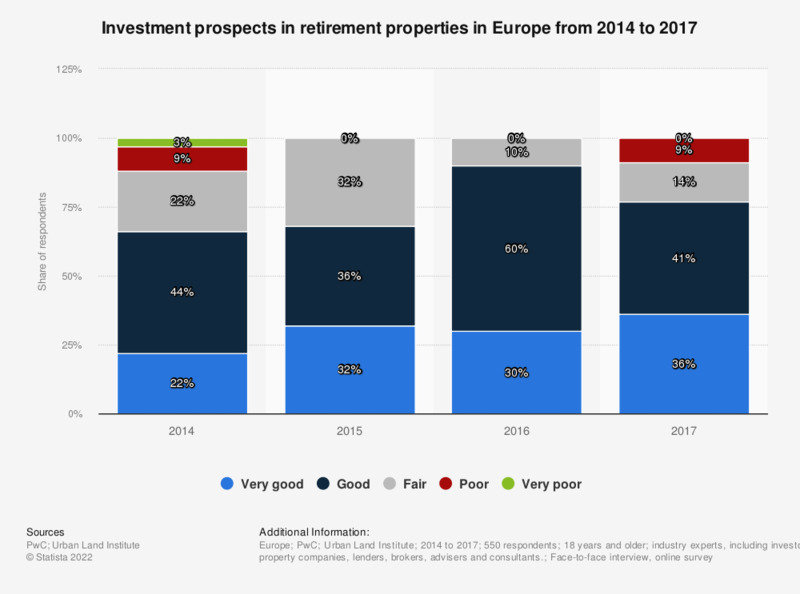 This statistic shows the prospects of investment in retirement properties on the real estate market in Europe from 2014 to 2017. The reported prospects improved further in 2016. 90 percent of the respondents expressed either very good or good prospects of investment in retirement properties. Everything On "Real estate investments on the European market" in One Document: Edited and Divided into Handy Chapters. Including Detailed References.